Do you or someone you know suffer from cataracts, a clouding of the eye’s lens that can negatively impact your vision? 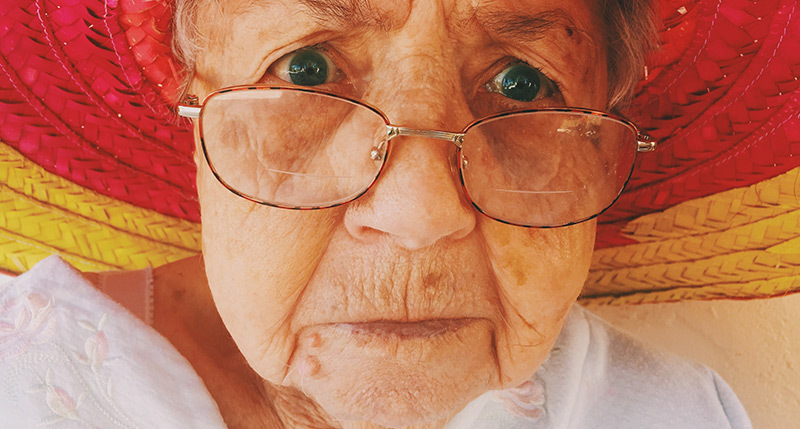 By age 80, more than 50% of Americans notice deteriorating vision due to cataracts. When the condition advances to the point of interfering with daily activities such as reading, driving or working, surgery is warranted. Cataract surgery is one of the safest and most common operations performed in the U.S.; about 90% of patients report improved vision after the procedure. Continuing our observance of National Cataract Awareness month, we’re following the story of a patient of ours who recently had surgery to correct her cataracts. We interviewed her before and after. The patient gave us her permission to write about her experience. She’s a 78-year-old woman in good overall health. Patient: The cataract surgery on my right eye was scheduled for 1:50 pm. My husband drove me to the appointment. I was a little nervous because I wondered if I would “see” the surgical instruments coming at my eye. But with the anesthesia, I couldn’t see anything out of that eye. I was sleepy and relaxed, but I could still talk with the surgeon and his team. They were very reassuring and treated me exceptionally well during the entire procedure. I was lying down, covered with a blanket to keep me warm, and I was very relaxed when they wheeled me into the operating room. Optometrist: Cataract surgery has become “routine,” with the entire surgical procedure from start to finish taking only 10 or 15 minutes. It’s a lot to accomplish in a short time. The surgeon makes a small slit in the white part of the eye, inserts a micro-scalpel to break up the lens of the eye, which is where the cataract is, and then vacuums the tissue out. They put gel in the space where the lens was to “reserve” a spot for the implant. At that point, the patient doesn’t have a natural lens in the eye anymore. Next, a tiny, folded lens replacement implant is positioned in the space where the natural lens had been. When it gets into the eye, they unfold it. You can watch a similar surgery on YouTube. The implant unfolds and anchors itself in the eye. The surgeon makes sure it is centered correctly, and then the procedure is complete. Patient: It sounds simple, and to the surgeon, it’s a very routine procedure, but since it was the first time I’d ever had it, I was very nervous. Patient: After surgery, they wheeled me to a recovery area, where my husband met me. I was groggy, but I got into a wheelchair and was taken out to our car. I could’ve walked, but it’s hospital procedure. A pad covered my right eye so I couldn’t see out of it. My husband drove us home, and I didn’t have any trouble walking into the house from the car. Then I took a nice, long nap. Optometrist: A few hours after cataract surgery, patients start post-surgical eye drops, to promote healing. Patient: When I woke up four hours later, my husband took the pad covering my eye off and put some post-surgical eye drops in my eye. I was alarmed because my vision was blurry and I was seeing double out of the right eye, but the surgeon had told me to expect that, so I tried not to worry about it. Then we put an eye patch back over the eye before I went to bed, so I wouldn’t accidentally hit it or rub it in my sleep and dislodge the implant. Optometrist: It’s common to have blurry vision for the first few days after cataract surgery. The eye has undergone a tremendous change and needs time to acclimate to its new normal. Patient: When I woke up the next morning, I was amazed! Not only could I see more clearly than I ever imagined, but everything was bright and shiny. Everything white looked like it had been bleached with Clorox! I had a post-operative appointment so the doctor could see how my eye was healing. They were pleased with how the eye and implant looked, and I was delighted by how clearly I was seeing. During the next several days, my vision kept improving. I got more eyedrops and a detailed schedule for putting them in four times each day. Honestly, that was the worst part of the entire procedure: eye drops at breakfast, lunch, dinner and bedtime―and really, that’s not so bad! Optometrist: The post-surgical eye drops are critical because they help prevent infection and the anti-inflammatory eyedrop helps the eye heal. It’s important for patients to follow their surgeon’s instructions and be sure to get every drop in that eye. Patient: As I said, I was amazed that everything was so bright and clear! The sky is brighter – the trees have definition, I can see the leaves individually instead of just a big green blur. Since I had one “old eye” and one “new eye,” I could really tell a difference between how I was seeing before surgery and how I could see with the new, implanted lens. For example, I have a sofa with a red floral pattern on a white background. When I looked at it with my “old eye,” the sofa looked cream-colored. When I looked at it with my “new eye,” the background was so much whiter―the red flowers really popped off the background. I feel like someone raised a curtain off of my eye or something. It’s a huge difference; you just can’t believe it until you experience it. Optometrist: If a patient has cataracts in both eyes, we remove the corresponding lens from the patient’s prescription eyeglasses so they can function between the two surgeries. Patient: Between the two procedures, I could do pretty much everything I usually do; I had to shut one eye sometimes. We continued with the eye drops four times per day. The day before my second cataract surgery, we started eye drops in my left eye. The second surgery was just as fast and easy as the first, and since I knew what to expect, I was much less anxious. It was almost identical to the first surgery in every aspect. When we got home and changed the bandage and I was seeing double, I wasn’t as worried as I had been with the first eye since I knew it would clear up. And it did! Patient: Now that I’ve had both eyes done, my vision is like it was 20 years ago. Everything is sharp and crisp. And colors! I can’t get over how bright and beautiful colors are. My daughter was right about my maroon shoes being red. And I’m worried that I must’ve been wearing some really strange color combinations before I had cataract surgery! Now that I can see colors so much better, I appreciate them like never before. It’s truly a modern miracle that my vision could go from blurry and cloudy to crisp and clear in what amounts to about 20 or 30 minutes of surgical time. I’m very grateful to my optometrist and his staff for helping to find me a great surgeon and for answering all of my questions along the way.